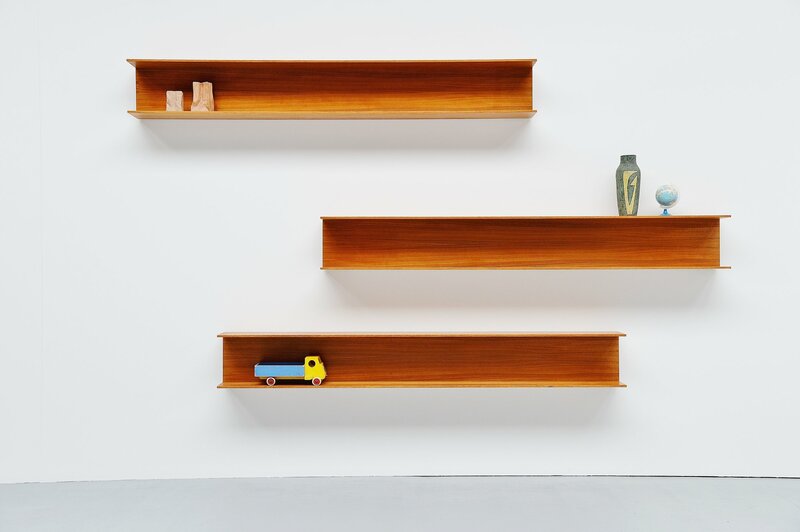 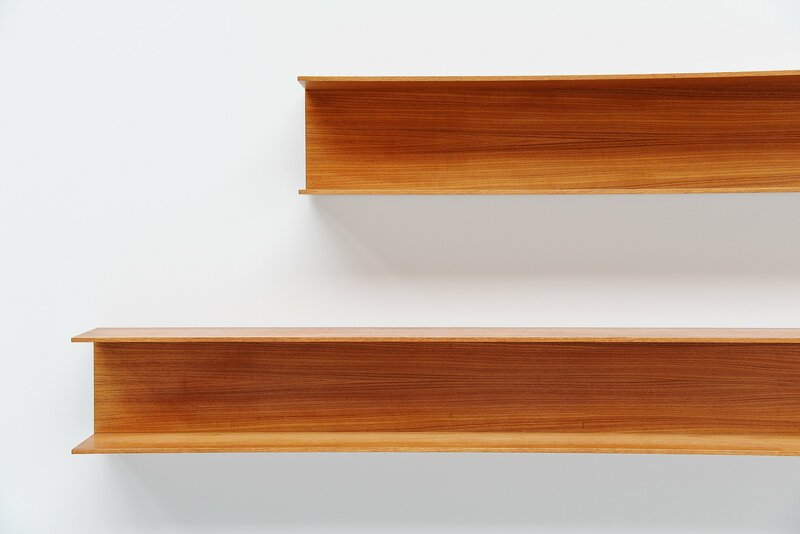 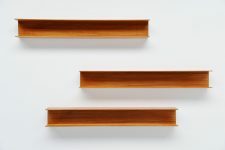 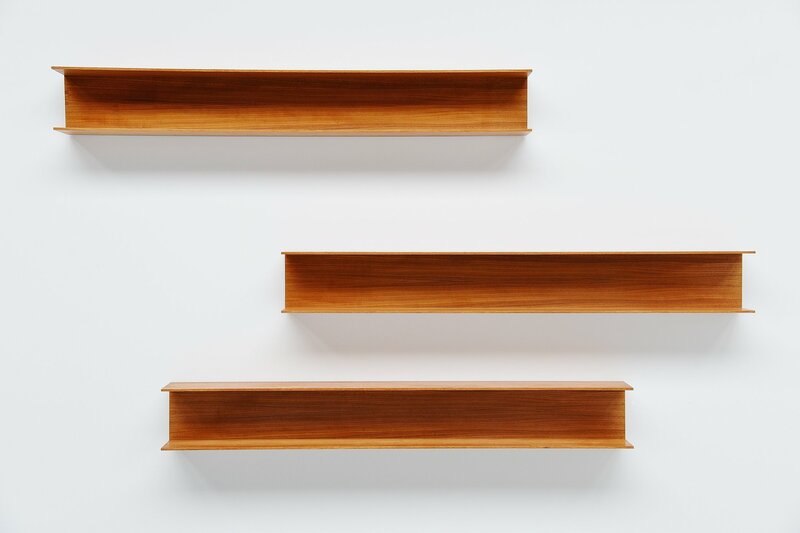 Very nice set of 3 large wall shelves designed by Walter Wirtz and manufactured by Wilhelm Renz, Germany 1965. 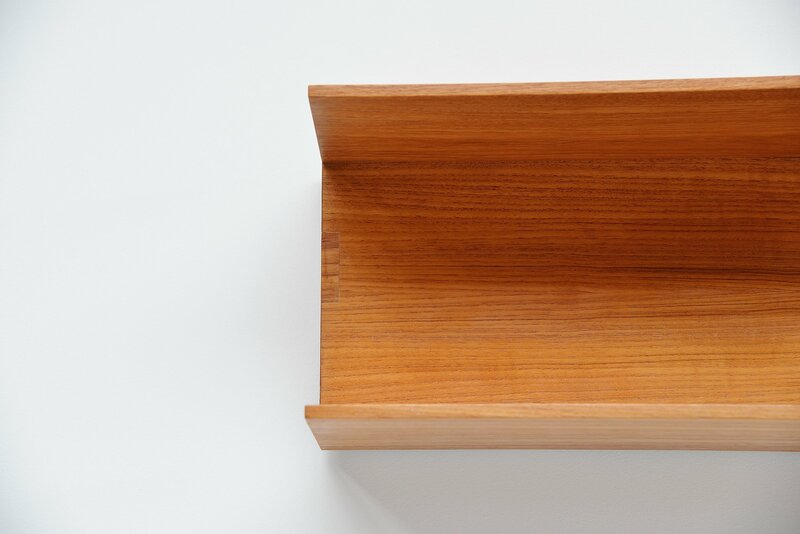 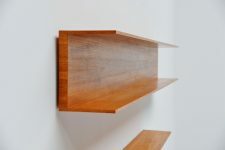 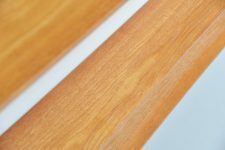 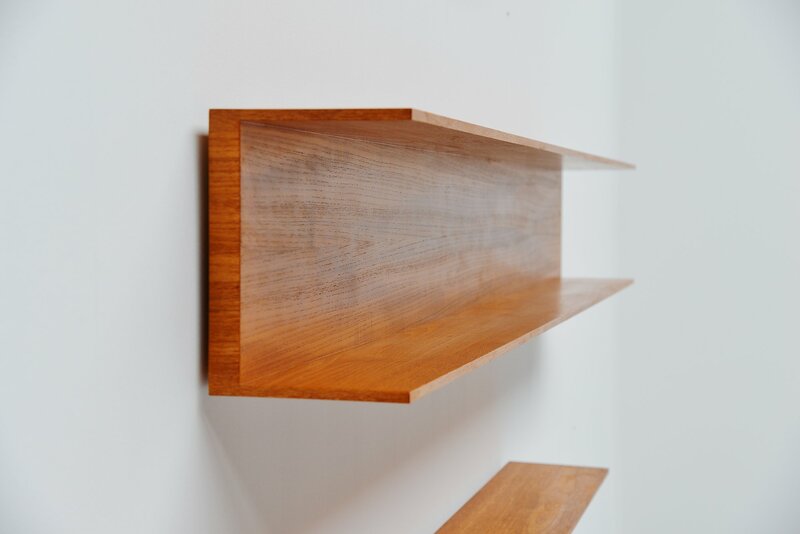 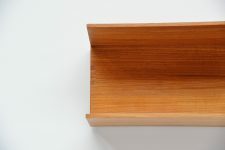 These shelves are made of teak wooden veneer and are easy to wall hang using only 2 screws per shelve. 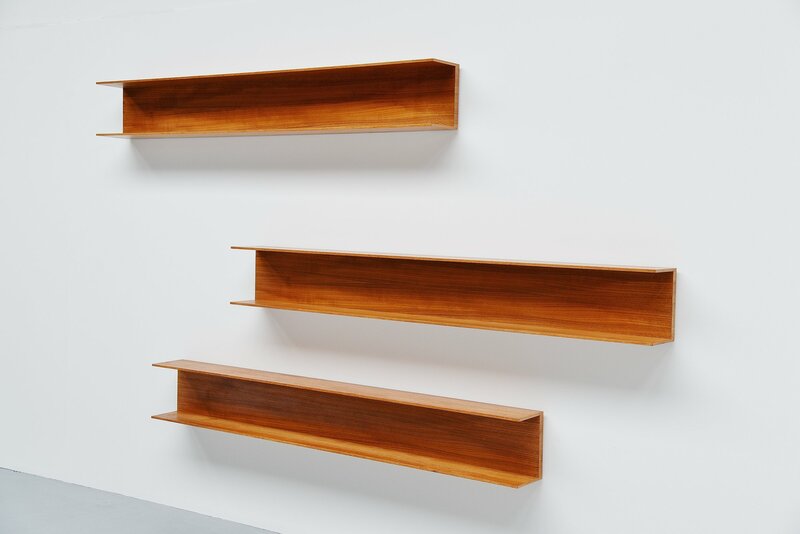 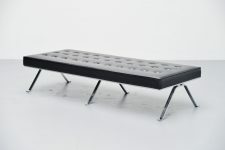 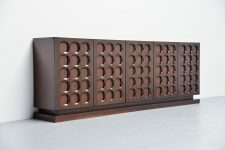 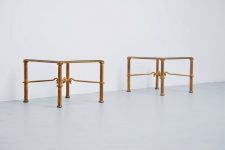 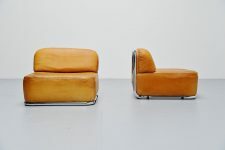 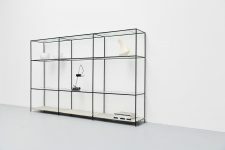 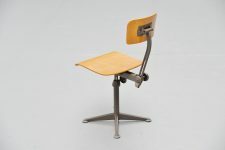 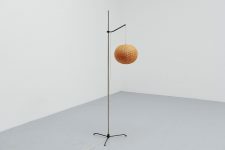 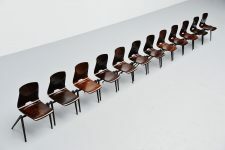 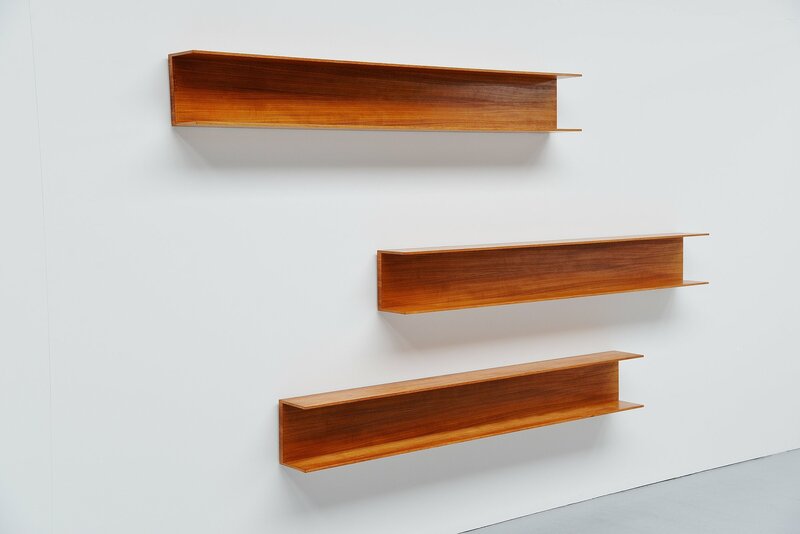 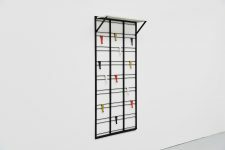 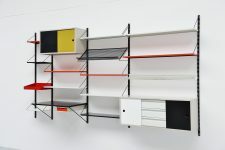 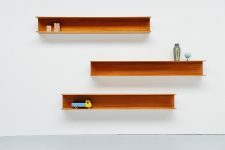 Very nice modernist set of shelves, the largest version that was made. 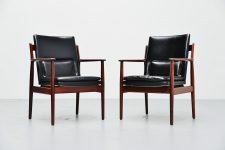 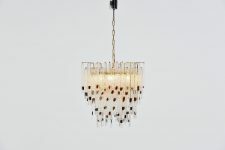 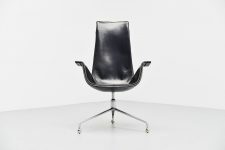 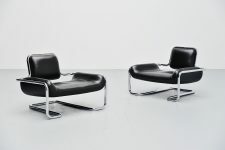 Very nice in a set, highly decorative. 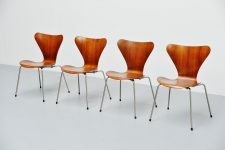 In very good original condition with only a few minor veneer repairs.